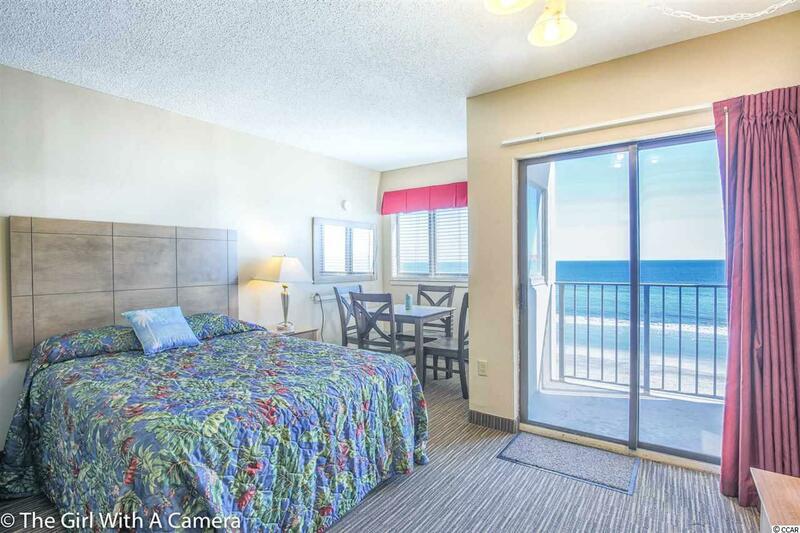 Direct oceanfront efficiency condo at The Palace Resort! 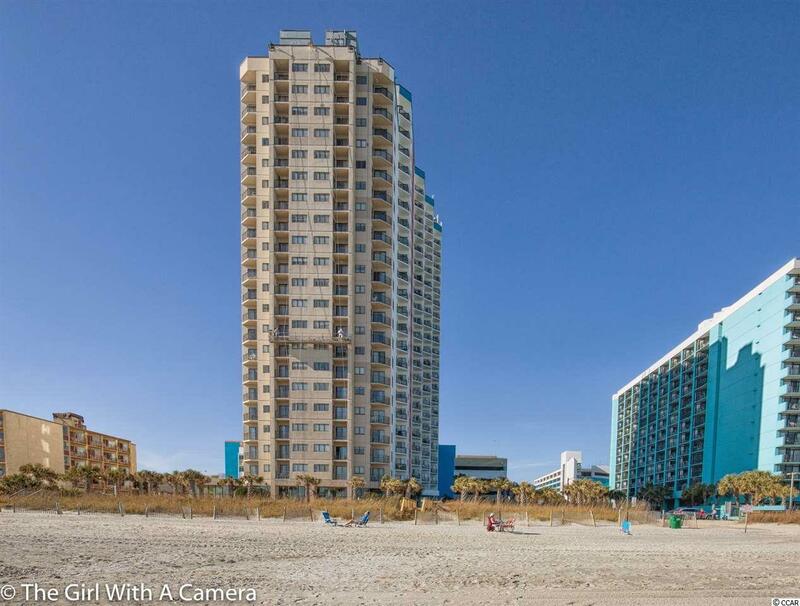 A great primary, vacation, and/or investment property. Fully furnished with brand new Whirlpool refrigerator. Additional upgrades in last 2 years include new commercial grade carpeting, new furniture, new stove, new sliding glass windows. 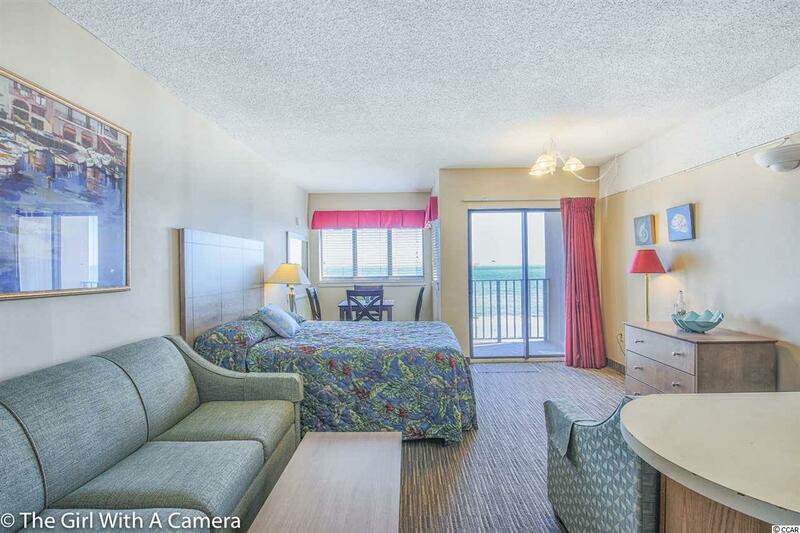 The Palace Resort features a host of amenities: Large oceanfront outdoor pool, indoor pool, whirlpools, putting green, exercise room, sauna, restaurant/lounge, free wireless internet, guest laundry facilities, attached parking garage. 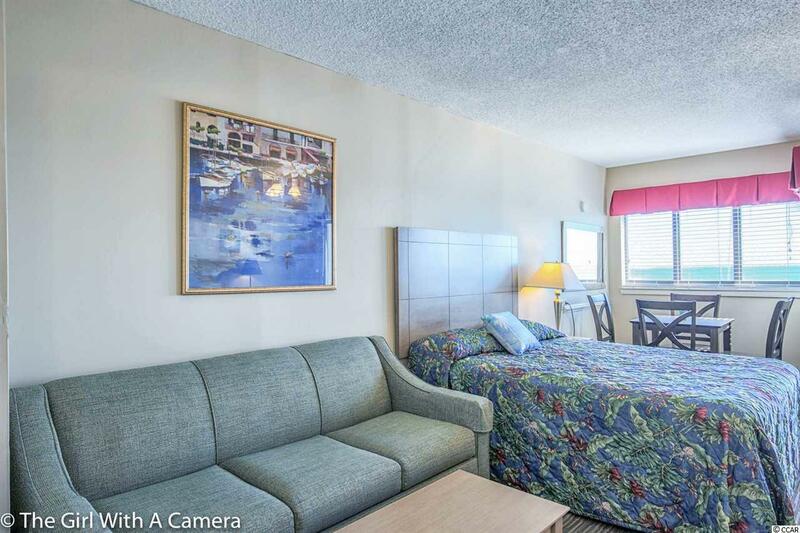 The Palace is minutes from Market Common, the Boardwalk, Broadway at the Beach and the Myrtle Beach Airport.